Finally, I am done with sitting at the sewing machine. No more winding bobbins, threading the machine, or pressing seams. I have reached the phase of appliqueing. 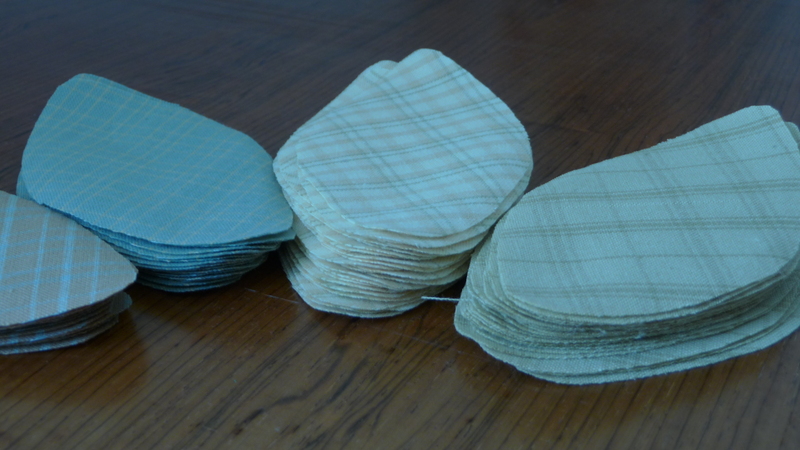 Nursing my habit of piling things up, I already cut out all the leaves I will need, 104, in four different plaids – and piled them up. 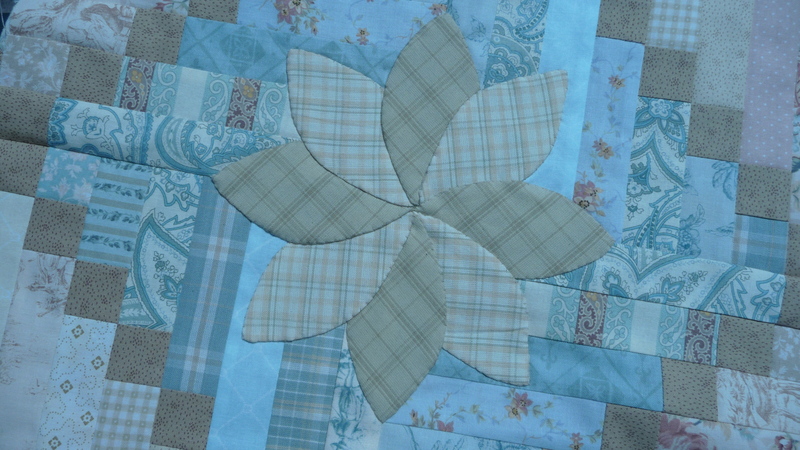 Nine false log-cabin blocks need one flower each. The flowers consisting of eight petals in two different plaids. This is nice working. 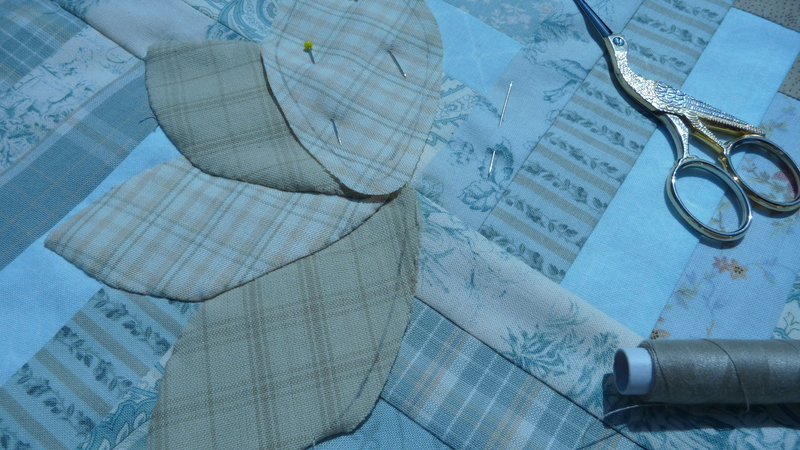 I can take one log-cabin block, eight petals, my scissors, thread, and needle – and can go whereever I want to. Garden, beach, waiting room, a long drive in a car or coach. I put on my ear-phones and listen to my favourite mp3s. I tell you, there is nothing better than this!